Chicken dishes are one of the favorite recipes of everyone. In India, there are many ways to make chicken dishes which are very much delicious and liked by everyone. Indian chicken recipes are made with lots of spices which are sometimes hard to consume. But here I am giving some healthy chicken recipes Indian which are not only healthy but also very much tasty. So let’s check those recipes below. Methi Chicken is one of the healthy chicken recipes Indian. 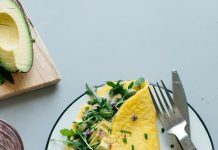 This dish is not only healthy it is also very much delicious and easy to make. 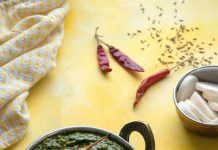 The aroma and flavor of methi enhance the taste of this dish. 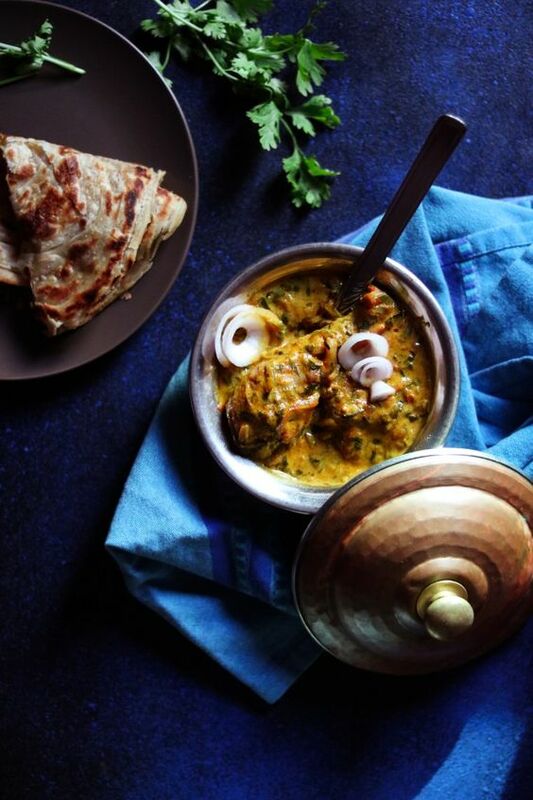 You can have this delicious chicken dish with chapati and naan. First, marinate the chicken with yogurt, ginger-garlic paste, turmeric, and salt for half an hour. Now heat the oil in the frying pan and then add chopped onion and let it soften. After that, add green chilies and fenugreek leaves and cook it for 8-10 minutes. After that, add coriander powder and marinated chicken and cook on a high flame. When the chicken becomes soft, add garam masala and black pepper powder. When it starts boiling, cover it for 10 minutes and cook it. After all, heat the hot and serve hot. Ginger and garlic are consumed every day to make every dish. It gives a different flavor to our food as well as eating both of them have many benefits, which we get with our food daily. 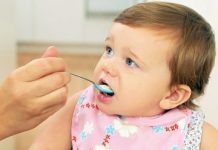 It also keeps our body healthy and our food also gets a different taste. Similar to Ginger Garlic, we also make a dish of Ginger Garlic Chicken, which is also very famous with delicious. Ginger Chicken Masala is one of the healthy chicken recipes Indian. To make Ginger Garlic Chicken, first, take the chicken and clean it well and keep it in a vessel. Now put onion, ginger, and garlic and cut into fine pieces. Put oil in a pan and heat it. Put the onion in hot oil and roast on a low flame. When the onion roasted, add the pieces of ginger and garlic in it and roast them too. Slow down the gas. Put the cleaned chicken in this mixture, add a little water and fry it on a low flame with the chicken mixture. After some time the whole water will fly, add turmeric, red chili, salt and coriander in it. After doing so, put a little curd, lemon juice, garam masala and mix it. Leave the mixture for some time to cook well. Cover the pan and cover the pan. By doing this your chicken will be ready soon. Close the gas after 5 minutes. In a while, your ginger-garlic chicken is ready to be prepared. Put coriander leaves on top and do all the dishwasher dishes. 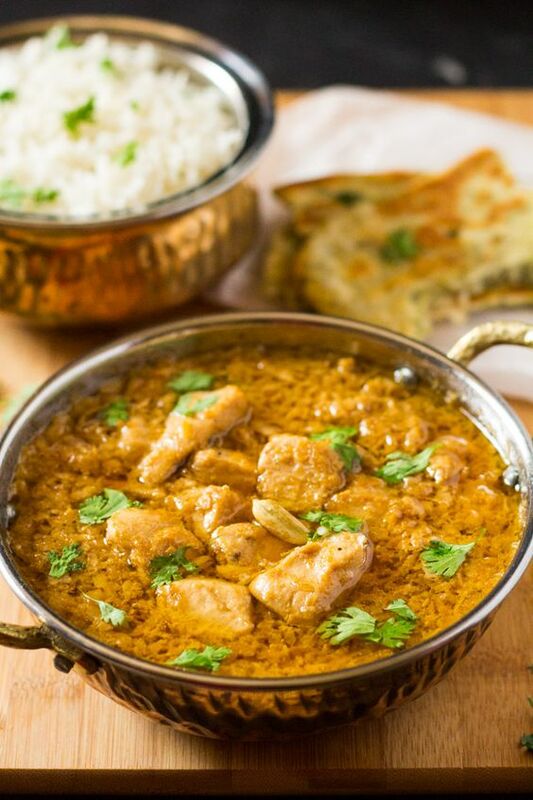 Chicken korma is very tasty and delicious dishes. It’s just fun to eat. Those who eat non-wage eat it with great interest. You can feed the chicken korma to everyone by making it whenever you want. This is a favorite dish of all. Chicken Korma is one of the healthy chicken recipes Indian. To make chicken korma first take the pieces of chicken and clean it well. Now put chicken pieces in a bowl and put lemon juice, black pepper and garlic paste in it. Mix this mixture and cover it for some time. Now add oil in a pan and heat it, add finely chopped onion and roast it until it becomes light brown. After roasting onion, add turmeric and mix well. Add green chilies in this mixture and fry well, as well as cardamom, cloves. Fry all the mixture well and then mix well. Once the spices are roasted, add curd and mix it. Now put a mixture of chicken kept in it and mix it well. Leave this mixture for a while to cook. Running with the help of a cage in the middle. Your chicken will be well-groomed. Close the gas after some time. Add garam masala and coriander leaves from top to bottom. Your delicious and delicious chicken korma is ready to be prepared in the bowl and survey all. Chicken curry is a very popular and delicious dish. Although it is a Punjabi dish, it is now famous all over India. Its taste is very tasty and luxurious. It is easy to make as much as it tastes good. It is better to go out and eat in a restaurant, make it at home, and to entertain your friends, relatives, and guests. When people listen to the name of their chicken curry, the water comes in the mouth as the people who like to eat non-veg. As it is its name, it is a wonderful taste. It is not that it is difficult to create non-veg dishes. If done well then no work is difficult. Chicken curry is a dish whose content is easily available and can be made very easily. 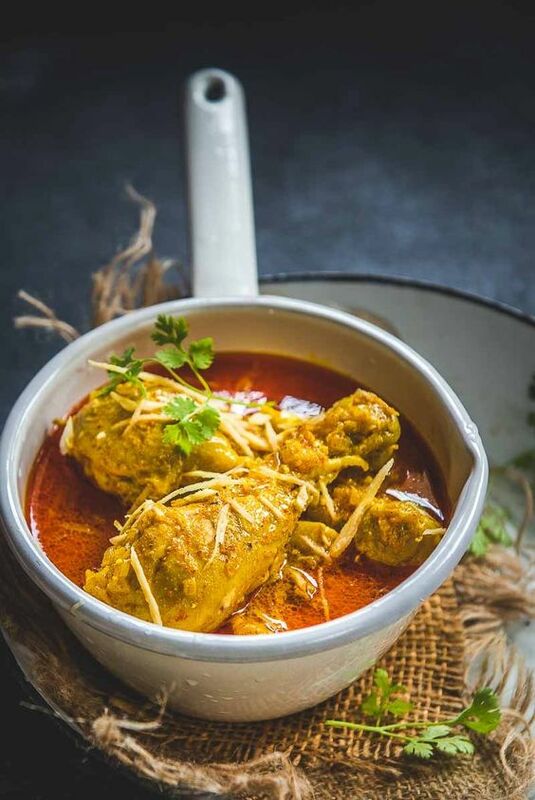 All think that chicken curry gets more tests in restaurants and hotels, but it is not so if you yourself also make this wonderful dish properly, you can make it very tasty for yourself too. According to the method given below, chicken curry will be ready in just a few moments. So what kind of material should be taken for granted and soon after doing chicken curry. 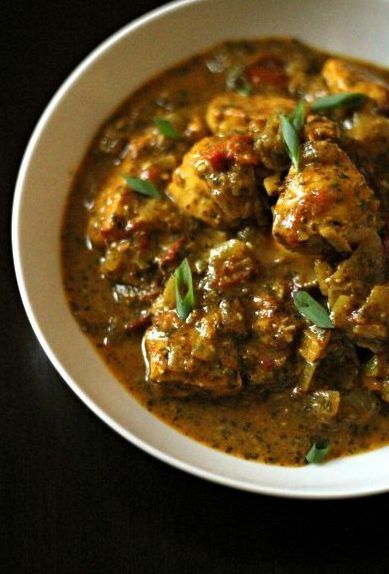 Chicken Curry is one of the healthy chicken recipes Indian. Firstly wash the chicken thoroughly and clean it. Then make a ginger paste of garlic and add curd, salt, chili, coriander, etc. Now add chicken pies to this paste and after doing so, cover the vessel for some time. Now grind well the onion tomato in the mixer. Keep in mind that the pieces are not left. Now take one embroidery and add oil to it and heat it, then pour the onion chopped onion and roast well. Also add salt, chili, coriander, turmeric, garam masala, etc. and mix the whole mixture well and then keep it for cooking. When the spices are cooked well, then add chicken pies found in the paste. Now mix the whole mixture well and put 1-1 / 2 cup of water in it. Take care not to exceed the water or else it will have to cook for a long time. Now cover the embroidery for some time so that curry is cooked well. After 3-4 minutes of leaving the gas, stop the gas. Your hot chicken curry is ready. Take a bowl and put the chicken into it. Add dahi ginger garlic paste kaju paste and green chilli paste and marinate well. Then Add black salt, chat masala, cream and cheese and marinate well. Now keep the marinated chicken for 2 hours in the fridge. So these are some of the healthy chicken recipes Indian. 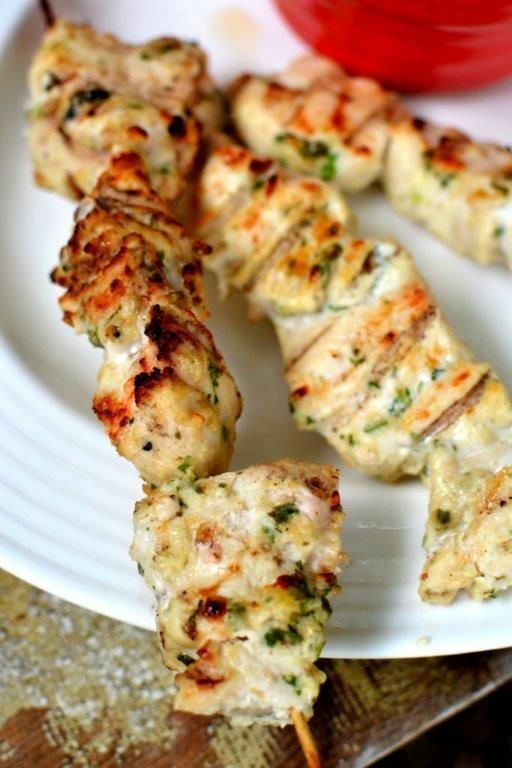 Try these recipes out at home and have a great munch.